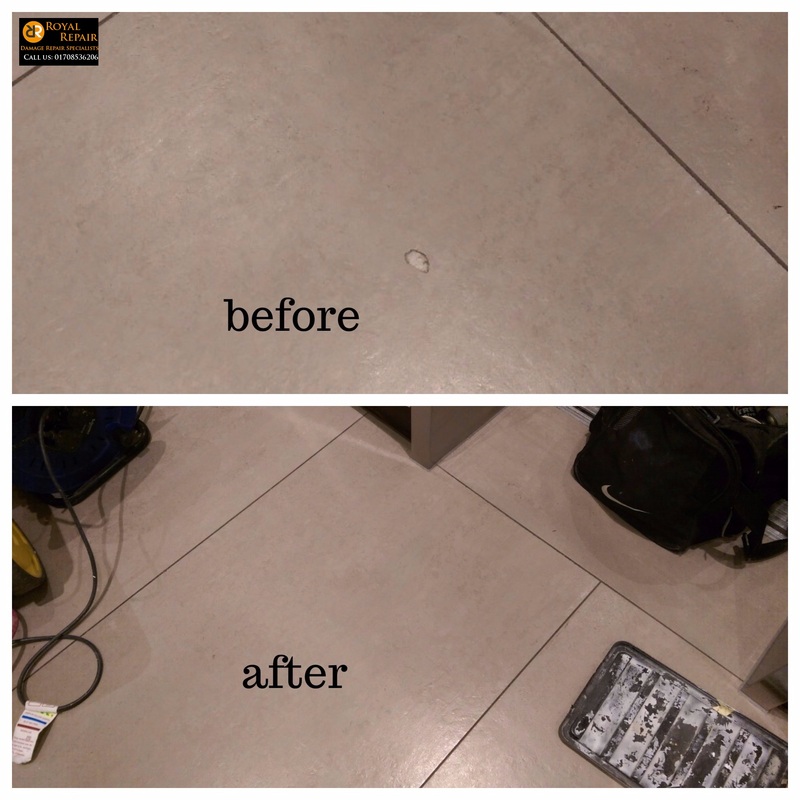 Damage repair Specialist went on a hard surface damage repair job to repair hole in a tile, in Camden, London. As you see from before/after photo someone just dropped heavy item on a tile and caused damage in a hotel’s lobby. After our tile repair man finished it looked like brand new. It took us only few hours to fix tile damage, imagine how much would it take to find the right colour tile, remove old one and replace it. Ask for price to find out, how much you would save ££.